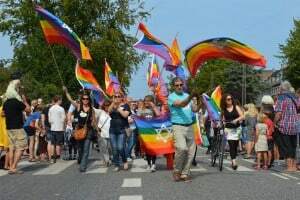 We often talk about the LGBT+ community and are passionate advocates for gay events, yet gay prides, ski weeks and cruises aren’t the only ways to get involved. Yes we do love a good party, rainbow parades and don’t complain being surrounded by half naked people celebrating. However, this July we’re changing things up a bit and will be attending an inaugural LGBT+ event focused on inspiring dialogue, connecting fans and influencers and exhibiting the diverse talent within our colorful community. We’re excited to announce that we’ll be attending Pride Con 2016 and we want you to join us! Although it’s the very first year, we’re unofficially thinking of it as Comic Con meets Vid Con meets gay pride. Without a precedent, expectations are still to be set, but we have no doubt that we will be raving about it for weeks to come. Founded in 2015 by Long and Thai Vo, Pride Con came to fruition after successfully raising $15,000 via Kickstarter to host an all-inclusive LGBT+ focused event. Win a FREE Trip! 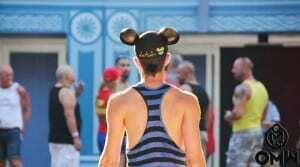 Want a chance to win a trip to Pride Con? Upload a video explaining why you should be selected. Click here to enter! Join us in sunny Anaheim, California from Friday, July 29th through Saturday, July 30th for the event of the year. You can purchase admission for both days or just Friday or Saturday. The economical pass prices are just $37.50 for a one-day badge and $60 for a two-day badge. Hurry because prices increase on June30th – plus check out how to get FREE badges at the end of this post! Pride Con will celebrate all things LGBT+ including pop culture, comics, anime, cosplay and so much more. The weekend will consist of panel discussions, guests of honor, meet and greets, concerts, dances and exhibitions. The goal is to bring together a diverse representation of the LGBT+ community to share ideas, showcase talent, mix and mingle and most of all have fun! Still not sure if you should go? Just take a look at the impressive industry guest list featuring talent from throughout the LGBT+ community such as many of your favorite YouTube content creators, actors, musical artists, writers and comedians. In case you’re curious, the guest list includes Arielle Scarcella, Aydian Ethan Dowling, Brendan Jordan, Bria and Chrissy, Calum McSwiggan, Chris Thompson, Miles Jai, Trent & Luke and V-Squared – just to name a few. If you hadn’t noticed, this California-based event is drawing an international crowd, which is even more reason to attend. In addition to the fantastic conference programs, swing by the exhibition space, aptly named the Rainbow Hall, which will showcase the work of LGBT+ artists, illustrators, authors and some of our favorite companies. You’ll find merchandise including cosplay goods, fashion accessories, games, music and you’ll also have the chance to meet us in person. Come and say, hi! You won’t want to miss a moment of the fun and excitement at Pride Con. Location and convenience are important factors in choosing a place to rest your head while traveling. That’s why we recommend staying where all the magic happens, the Hilton Anaheim hotel. As the official headquarters for Pride Con 2016, this is where you’ll find most events and attendees. Rooms are complete with all the comforts expected of a Hilton hotel including pillowy beds, contemporary furniture and décor, floor to ceiling windows and private balconies. Plus rates are heavily discounted for Pride Con attendees. 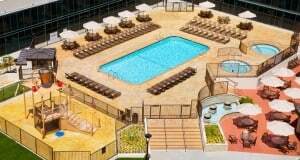 Additionally, the Hilton Anaheim is outfitted with amenities like a massive outdoor pool, first-class dining, relaxing spa, hair salon, shipping services and more. Saving the best for last, this isn’t your ordinary hotel gym. We’re talking a fitness facility with yoga, spin, weight training and group fitness classes. Forget your reservations and make a reservation at the Hilton Anaheim. You’ll be sipping a cocktail in the swanky outdoor lounge in no time. As if this isn’t already going to be a weekend to remember, put on your Mikey ears and head over to the happiest place on Earth. Stop by the dedicated Disney concierge desk for tickets to the theme park that’s just a 5 minute bus ride (15 minute walk) to Disneyland theme park. We hope you see now why we can’t wait for the weekend of July 29th to roll around. It’s going to be epic and we would love for you to meet us there! 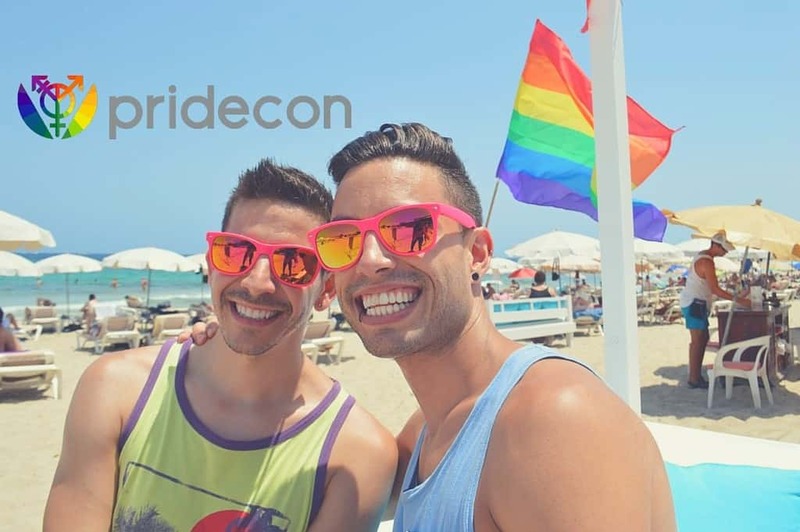 Book a room at the Hilton Anaheim and get a free entrance badge to Pride Con. 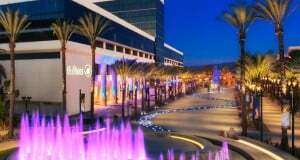 This deal is for the first 150 guests booking at the Hilton Anaheim so act quickly. 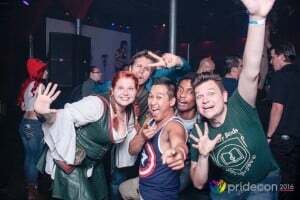 What do you think about Pride Con? Do you think it will be a big success like us? We’d love to hear your thoughts in the comments below. All images via Pride Con unless otherwise noted.